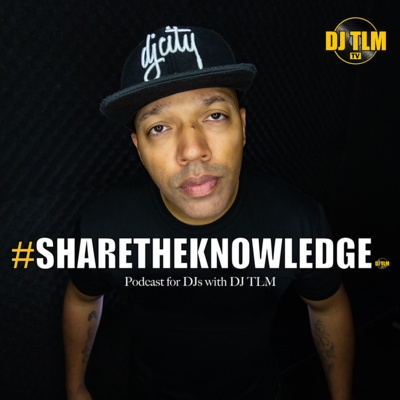 The #ShareTheKnowledge podcast is an educational podcast for DJs. DJ TLM shares his 25+ years of experience through tips and tricks, and talks about all things DJ related. Learn how to become a better DJ and share the knowledge. 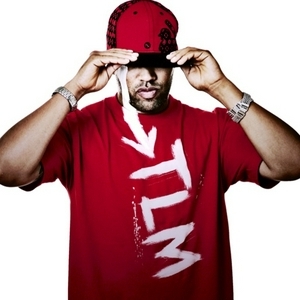 This podcast is part of DJ TLM’s educational platform DJ TLM TV. The #ShareTheKnowledge podcast is brought to you by Bandzoogle. Try Bandzoogle free for 30 days: http://try.bandzoogle.com/websites-for/djs/?pc=share In this episode I talk about taking your DJ skills to the next level, preventing back injuries, my DVS setup and the importance of talent and work ethic. Feel free to jump in the comment section and join the conversation when you see a question that you can answer. Podcast website: https://sharetheknowledgepodcast.com/stk-episodes For DJ related video content check out www.youtube.com/djTLMtv - Ask your questions on Facebook goo.gl/4jMdpp or Instagram goo.gl/gdlIzU and add the hashtag #ShareTheKnowledge - TLM's latest DJcity mix: goo.gl/jIXQH9 | Free beats & scratch tools: goo.gl/VMiDQU Support djTLMtv with PayPalMe: goo.gl/WKIBep Enjoy the podcast and share the knowledge! The #ShareTheKnowledge podcast is brought to you by Bandzoogle. Try Bandzoogle free for 30 days: http://try.bandzoogle.com/websites-for/djs/?pc=share In this episode TLM talks about transition options when dropping it on the one, using Fiverr for DJ drops and other services, talking tech and more! DJcity Amsterdam Linkup: https://www.facebook.com/events/206388869913734/ Combo: https://www.facebook.com/events/406115919811334/ Feel free to jump in the comment section and join the conversation when you see a question that you can answer. Podcast website: https://sharetheknowledgepodcast.com/stk-episodes For DJ related video content check out www.youtube.com/djTLMtv - Ask your questions on Facebook goo.gl/4jMdpp or Instagram goo.gl/gdlIzU and add the hashtag #ShareTheKnowledge - TLM's latest DJcity mix: goo.gl/jIXQH9 | Free beats & scratch tools: goo.gl/VMiDQU Support djTLMtv with PayPalMe: goo.gl/WKIBep Enjoy the podcast and share the knowledge! The #ShareTheKnowledge podcast is brought to you by Bandzoogle. Try Bandzoogle free for 30 days: http://try.bandzoogle.com/websites-for/djs/?pc=share In this episode TLM talks about the power of practicing your mixing skills with live music, the Pioneer DJ DDJ-SB3 Jazzy Jeff controversy, why DJs need to stop looking at their laptop screens and more! Feel free to jump in the comment section and join the conversation when you see a question that you can answer. Podcast website: https://sharetheknowledgepodcast.com/stk-episodes For DJ related video content check out www.youtube.com/djTLMtv - Ask your questions on Facebook goo.gl/4jMdpp or Instagram goo.gl/gdlIzU and add the hashtag #ShareTheKnowledge - TLM's latest DJcity mix: goo.gl/jIXQH9 | Free beats & scratch tools: goo.gl/VMiDQU Support djTLMtv with PayPalMe: goo.gl/WKIBep Enjoy the podcast and share the knowledge! In this episode I talk about building your crates and time management, Serato DJ Pro, some djTLMtv updates and choosing new gear. Feel free to jump in the comment section and join the conversation when you see a question that you can answer. For DJ related video content check out www.youtube.com/djTLMtv - Ask your questions on Facebook goo.gl/4jMdpp or Instagram goo.gl/gdlIzU and add the hashtag #ShareTheKnowledge - TLM's latest DJcity mix: goo.gl/jIXQH9 | Free beats & scratch tools: goo.gl/VMiDQU Support djTLMtv with PayPalMe: goo.gl/WKIBep Enjoy the podcast and share the knowledge! In this episode I talk about DJs using social media, how to approach sponsors, losing a residency, giving without expectations, talking on the mic and new rap music. In this episode I talk about being "rusty", mixing genres, the importance of knowing your music, how to control your volume, if a DJ should take requests and more. Today I talk about the best practice when it comes to playing for people, DJ names, educating the crowd during your sets, and tips for crushing 2018! In this episode I talk about my take on new year’s resolutions and my recent decision to go full-time on YouTube in 2018. I also answer a couple of questions from the live Q&A FB feed.